39-A248 Units: 1 Show your passion for chocolate with these fun, dark chocolate brown aprons. Apron is 27" long and 22" wide with adjustable neck straps. Phrase on apron reads "Chocolate: it's cheaper than THERAPY and you don't need an appointment!". Show your passion for chocolate with these fun, dark chocolate brown aprons. Apron is 27" long and 22" wide with adjustable neck straps. 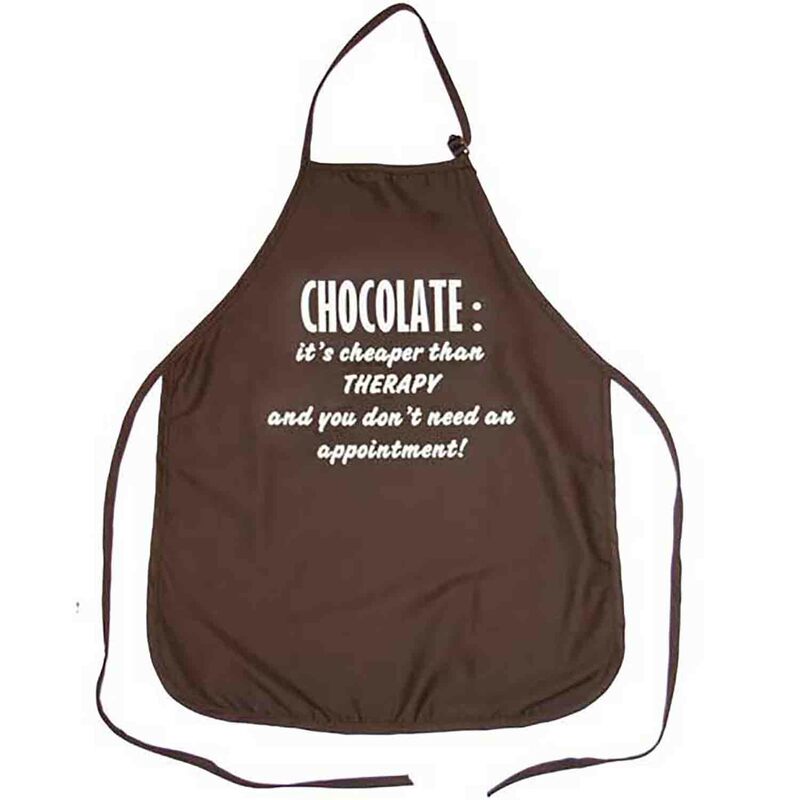 Phrase on apron reads "Chocolate: it's cheaper than THERAPY and you don't need an appointment! ".